Do Tough Drug Sentences Lead to Decreased Drug Use? Llinas Law Immigration & Criminal Defense > blog > Drug Crimes > Do Tough Drug Sentences Lead to Decreased Drug Use? Being accused of a drug crime is a situation so fraught with concern that anyone facing drug charges needs a lawyer immediately to help them. For a long time, drug charges have had tough sentences attached because it was believed this helped to curb drug use and abuse. However, new research shows that may not be the case. If drug crimes still come with harsh sentences that make someone likely for offending again, criminal justice advocates argue for reform. Harsher sentences for drug-related crimes have been on the books for many decades at this point although some prison and criminal justice reform advocates believe that these programs are only doing a disservice to those who are accused. 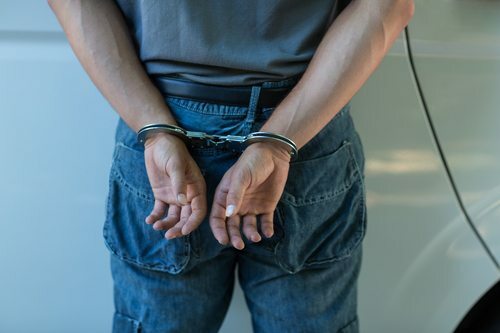 According to research recently completed by the PEW Charitable Trust’s Public Safety Performance Project, there is little to no connection between strict drug laws and being able to reduce reoffending or overdoses. The study found that Louisiana, with the highest incarceration rate across the country, had overdose deaths at a rate that was almost 44% higher than New York, although New York came in 41st for drug imprisonment. Being accused of a drug crime is a serious matter because public policy has such stiff penalties associated with violating the law. Putting drug law violators behind bars for long stretches of time, as has become common in the last several decades, has created significant costs for taxpayers and some advocates believe this has not brought around enough of a public return for those investments. The most effective responses to drug misuse, according to the researchers in the study, include prevention, treatment and alternatives to incarceration for those drug offenders with nonviolent allegations. The number of Americans in federal and state prisons for drug law violations has exploded to a quarter million. In 1980 that number was 25,000. If you have recently been accused of a drug crime, you need support from an attorney immediately.